Professor Rebekah Brown is Director of Monash Sustainable Development Institute, Monash University, a leading interdisciplinary research and education centre working collaboratively with government, industry and philanthropists and to advance the knowledge, policy and practice of sustainable development. Since early 2000 Rebekah has pioneered interdisciplinary research across the social and biophysical sciences in sustainable water management. She co-founded the water sensitive cities research platform at Monash University as a sustainable development solution to urban water challenges globally. 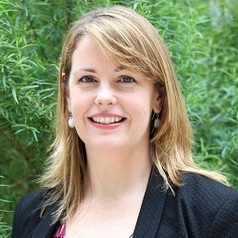 Rebekah was instrumental in the establishment of the $120M (AUD) Cooperative Research Centre for Water Sensitive Cities comprising 86 partner organisations and over 170 researchers, and was its Chief Research Officer and inaugural Society themed Program Leader. Rebekah's research aims to guide and accelerate the realisation of more liveable, resilient and sustainable cities. Her research is particularly focused on understanding the social and institutional transformations required to enable such a transition, in both developed and developing country contexts. Rebekah adopts an interdisciplinary research approach, combining insights from disciplines such as sociology, institutional theory, science and technology studies, innovation studies and complexity theory. Rebekah's work is used extensively within the water and land development industry across Australia, and by international organisations such as the Asian Development Bank, UN Habitat and the European Union. On the prestigious WME Leaders List for 2010, Rebekah was named national leader in the category of Urban and Industrial Water and was a finalist in the 2010 Eureka Prize in Water Research and Innovation.